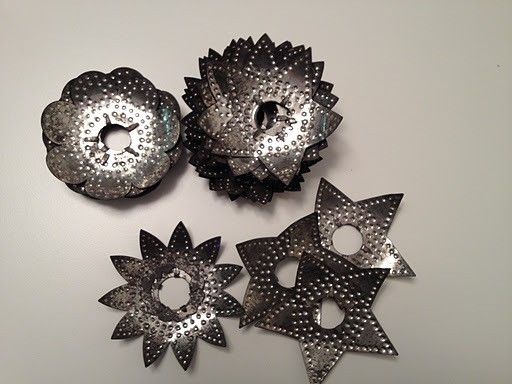 As we are creating bunches and bunches of tin ornaments for the holidays, I thought I would show you some of the pieces that go into our unique ornaments. Lampworking is a type of glasswork that uses gas fueled torch to melt rods and tubes of clear and colored glass. 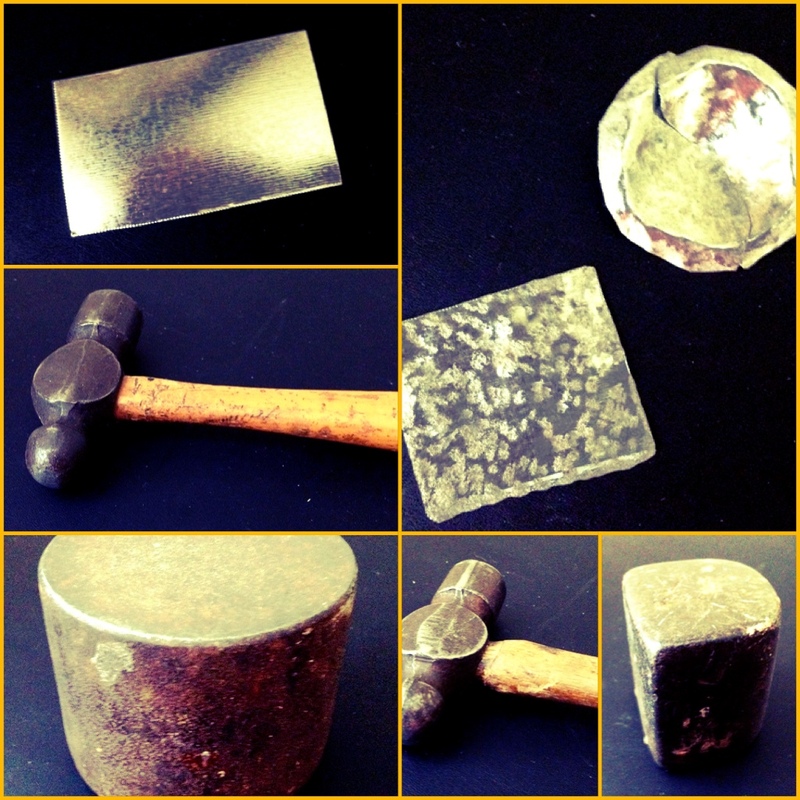 Once in a molten state, artists will shape and blow using tools and hand movements. 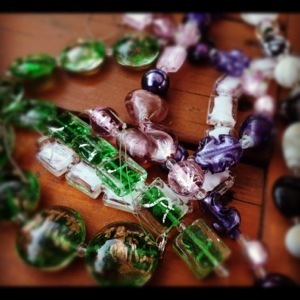 Each bead is unique…although you might find the exact same bead color and all….they will not be exactly alike. Many of our tin ornaments have unique “mini pieces of art” each different be it a lamp work bead, recycled charms from vintage pieces or other additional handmade “trinkets” to make each tin ornament unique and special. Hope to see you at this seasons craft fair events! Well now what I am thinking is what I am going to make out of these cool piece of history. If you’ve been reading this blog you know I love to create things. 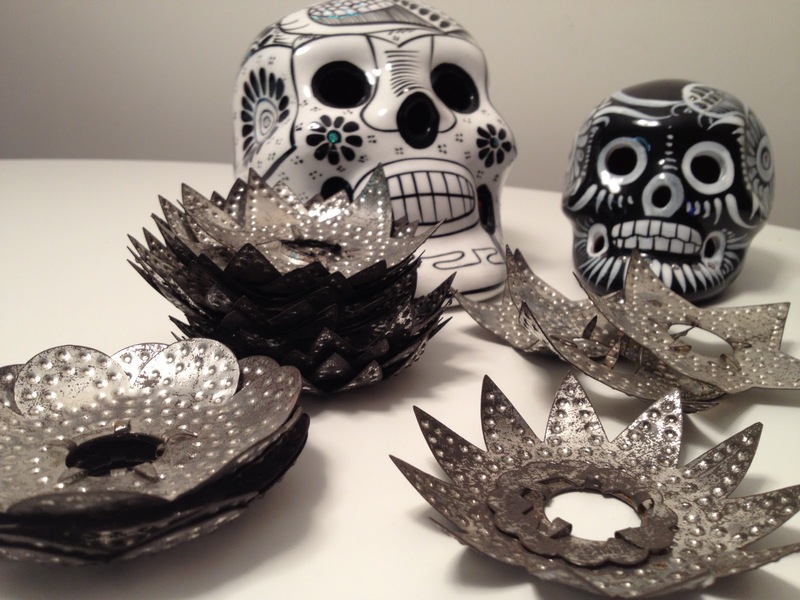 During the holidays I had a hit with tin ornaments (check out this past blog about them) and so now I am thinking some sort of Christmas ornamentation! I love Christmas and yes…it is January and I am already thinking about Christmas. The vintage stuff from the 60’s and 70’s I really la la love. I guess because it brings back such awesome memories for me as a child. 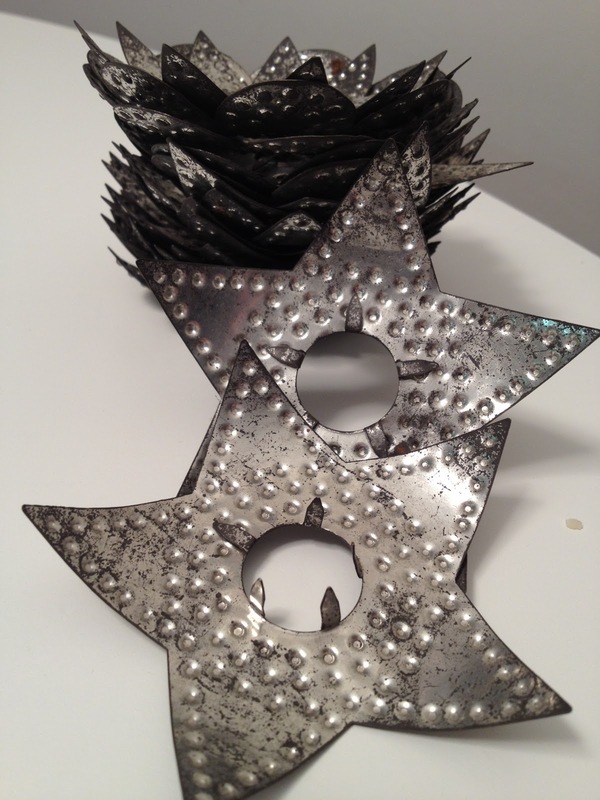 But something I am looking for and I know it is from an earlier era….an aluminum Christmas tree! (happy happy joy joy face) Of course I’ll keep you posted. When I lost my father, I lost my best friend…my support….my hero. 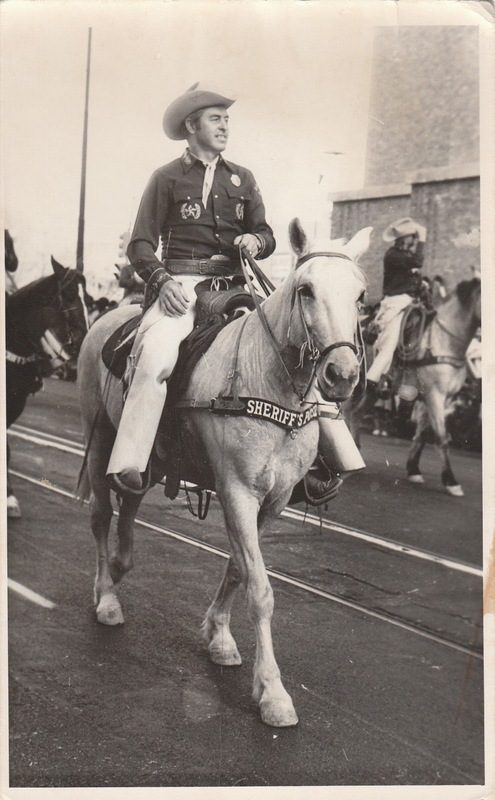 He was John Wayne! 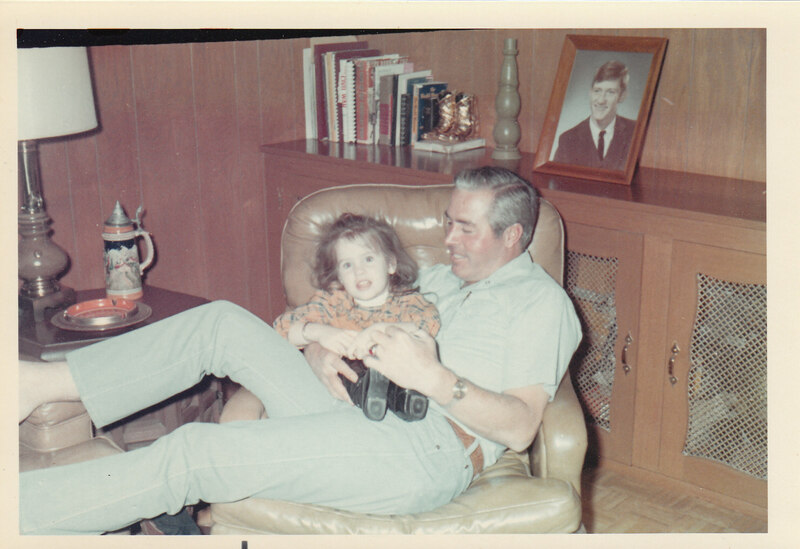 I was the youngest and only girl and I believe my Dad was wrapped around my little finger. (wink wink smiley face) We did a lot growing up together and yes, I would do all the “boy stuff” like camping, fishing and working in the yard with him. He was a man of integrity… with God in his heart, strength in his hands and very humble. My family and I were amazed at the countless letters of condolences regarding my father’s passing that year and how much he did for their family. Juan (hubby) could not believe the charitable things he did without telling anyone…without saying a word. He was a good man with a HUGE heart. I honor Pops each year during the holidays. If you have lost a loved one…or know someone who did…this is a great token to give to a loved one who has lost someone special. I know you can buy these at any craft store; small picture frames that are made to hang as ornaments. My sister-in-law found several of these and put dad’s picture in it. She made one for me, her husband (my brother) and my other brother. It was a tough year 2007, the three siblings PLUS their spouses each lost a parent that year. No kidding… each one of us. 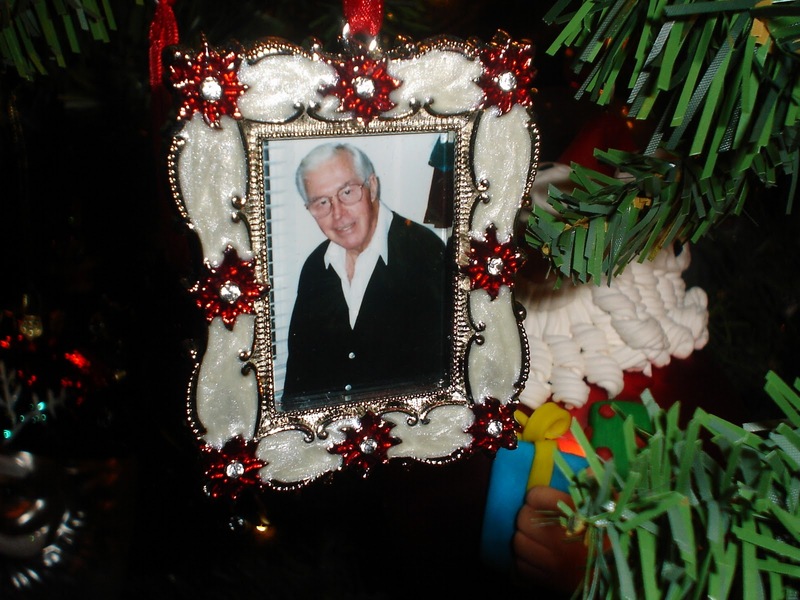 So my beautiful and thoughtful “sis-n-law” created such a beautiful token to honor my Dad each year when I trim the tree. For me…that small little picture frame ornament was THE most precious gift I received that year. No amount of technology, jewelry or clothing could top such a gift. It brought tears to my eyes and I will never forget such a thoughtful and wonderful gift. So if you’ve lost someone special OR you know someone close who has lost a loved one, I would recommend getting one of these little frame ornaments and creating a special gift. May this year be the merriest of holidays for you and your family. WOW! It seems like Labor Day was just here and we were THINKING about Halloween. How’d we get to Christmas so fast? I tell Juan every year, Christmas comes faster and faster. I collect Santa ornaments. When I travel, I love picking up one in remembrance of my trip. For years, I’ve been trimming an artificial tree. I put mine up so early, I want to be able to have it up after Thanksgiving and enjoy through Christmas. This is a challenge if you buy a real tree…besides some of my ornaments are heavy and the fake branches can hold the weight. Since we moved to our 900 square foot home, I did have to get rid of the 9 ½ foot pre-lit tree I used in my old house. It would be folded over due to the low ceilings and the circumference would take up the whole living room. So we purchased a 7 ½ foot unlit slim tree. 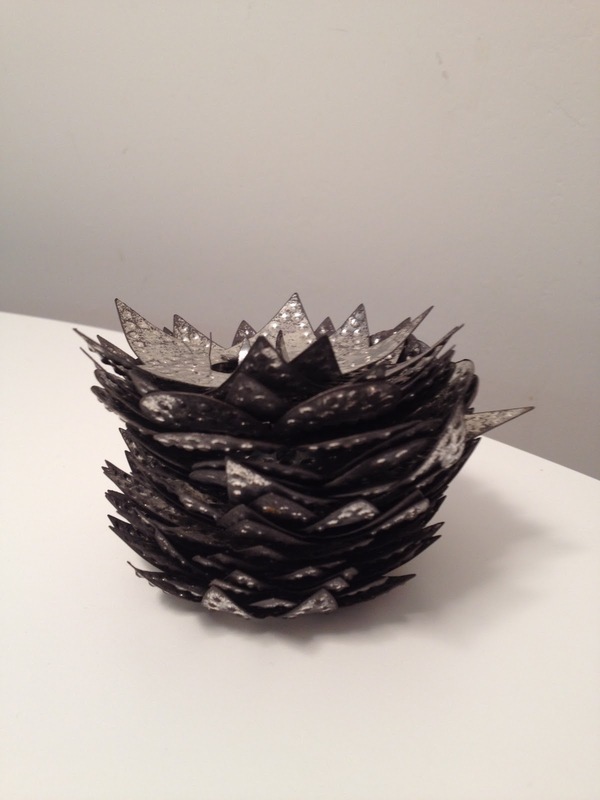 It is perfect for a smaller space especially with the narrow diameter….you do not feel that each time you walk by you will take an ornament out! Since I had to manually light the tree I got started. How spoiled I’ve become with a pre-lit tree. It sure made it easy to put together. I was able to concentrate on getting the branches bent correctly and fluff the tips up to look like a real tree. Now I will have to wrap the lights AND get the branches ready for decorations. Juan hates this part as I become very picky on how the lights go on and how the branches are set. He would run around the tree in circles with the lights and throw a clump of tinsel at once if he could. (wink wink smiley face) I however like to weave the lights in and up to the trunk and back out trying to give the tree a perfect glow. (Wow that is so Martha Stewart, right?) Okay….I am a little particular when it comes to festive illumination! Well, back to lighting. I thought I would be smart by setting up the first tree section and wrapping the branches before I add the middle and top section of the tree. That way I could easily lean over the top of the section and really weave the lights perfectly. Heck I am so smart…I’ll have this tree glowing and ready for ornaments in no time. So….I decided to continue on and instead of trying to pull out the section I did…I went ahead and added the top section and began my weaving wonderment of lights. It was beautifully lit….heck I should have another 1 ½ feet of tree to light but alas I was not paying attention when starting this project. 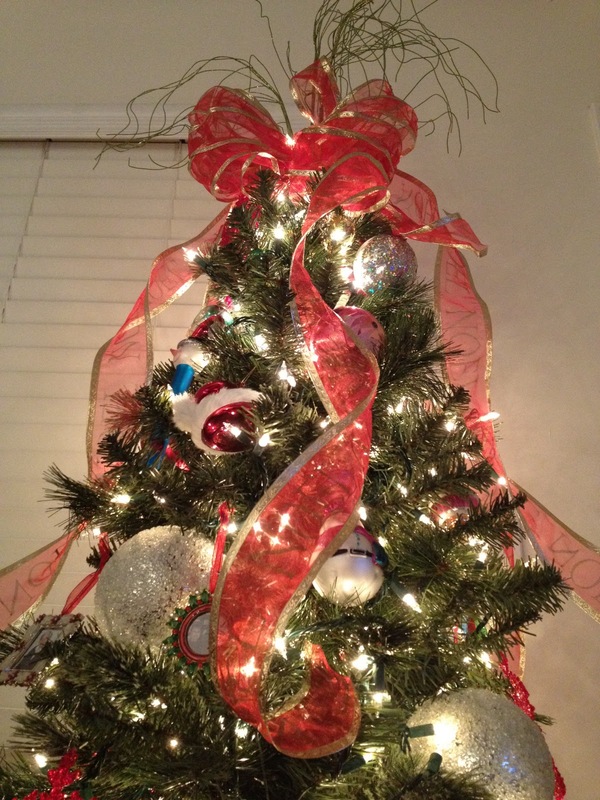 Instead of a 7 ½ foot tree….I have a 6 foot tree and you know what???? It looks great. Juan agreed, he said you don’t even miss it and it fits so nicely in the room. 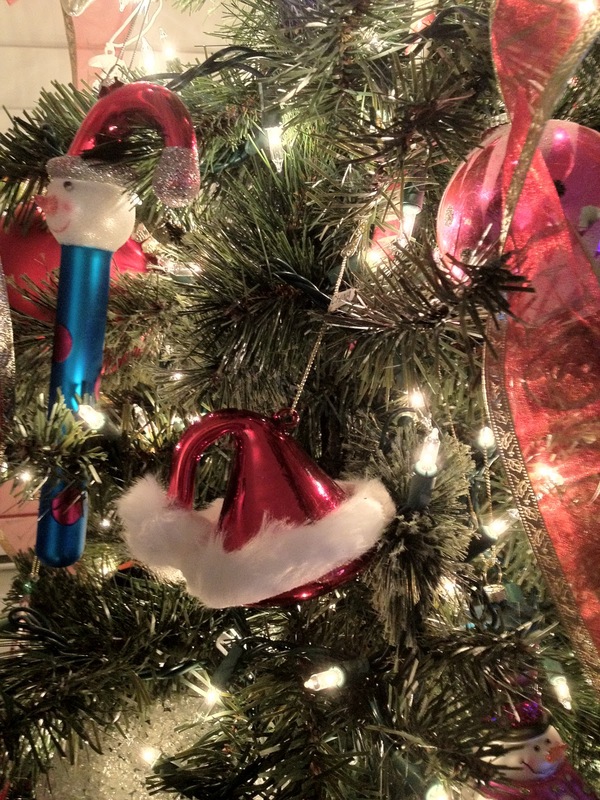 This year I decorated with my glass and German glass Santa and Snowman themes ornaments…went with heavy red accents and a dash of green on top! * If you do mess up….take a break, have some eggnog and get creative! It’s beginning to look a lot like Christmas….. Maybe not quite as much here in Phoenix AZ…but I am sure in other parts of the country. Well…the reason I am starting now is since October you have been getting into your attic/garage/basement/shed/storage unit pulling out the holiday decorations. This is the time as you go through each holiday event (Halloween, Thanksgiving, Christmas, New Years etc) look and see if you can better organize your decorations. Sometimes the hardest part is taking the time to go through everything and see what you wish to keep, throw away or pass down to others…getting it organized. THEN…the next thing to think about is storage solutions. As I have preached on several occasions, the key to small space living is great organization. Heck! 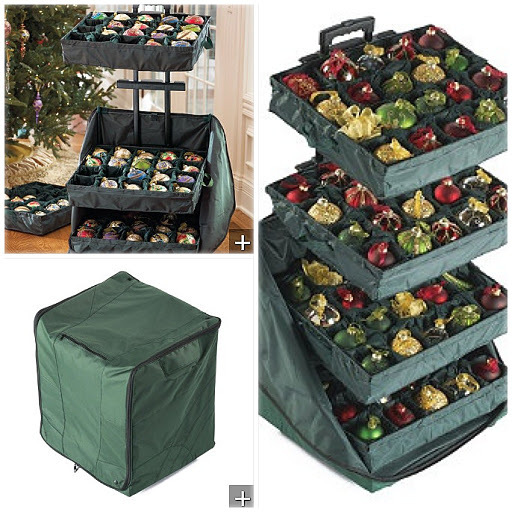 The key to sanity with holiday décor regardless of size of home IS organization. Let’s start off with ornaments. I remember growing up; my parents had the ornaments in their original packs. (Okay 1960’s) Although it kept the glass ornaments secure, you had a bunch of these small cartons you had to stack up in storage or in a box; however they were never quite the right shape to put in the bins etc. Or…you had all the ornaments in one giant box where they clanged on one another or wrapped in tissue and you never seemed to have enough room to put all your ornaments in one box. So look for storage solutions at Target, Wal-Mart, IKEA or specialty container stores where you might find more specific needs at a slightly higher price. 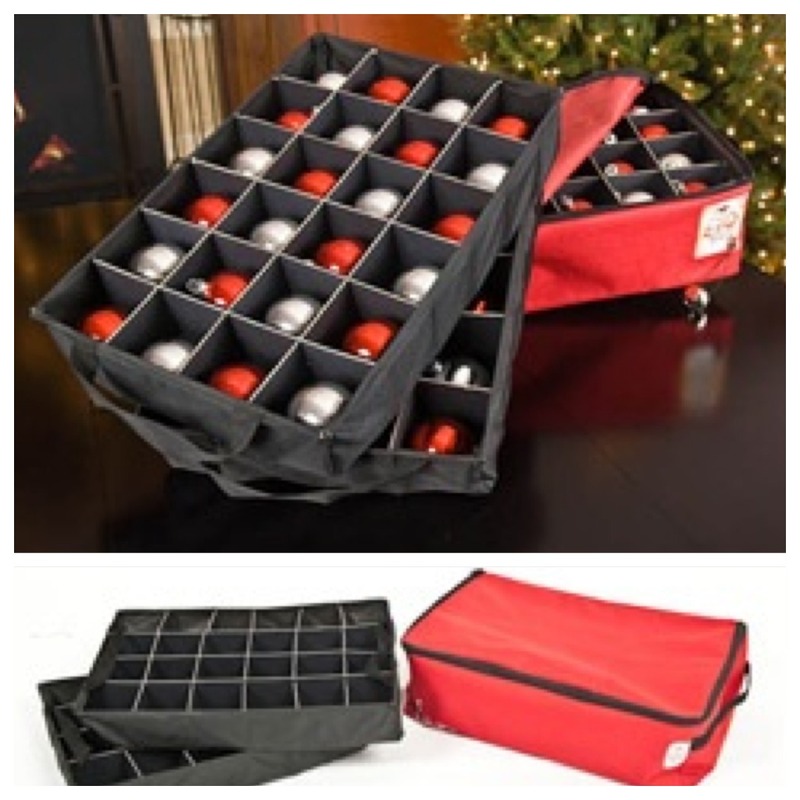 I’ve included a couple of ornament storage solutions that make it easy to organize and protect your precious ornaments year after year. Strings of lights are always a challenge. One thing I decided to do was pre-lit Christmas tree. That way I do not have to spend the time weaving in strings of lights before I get to the fun part of decorating. So many trees are easily assembled with the pre-lit lights…no headaches in connecting etc. 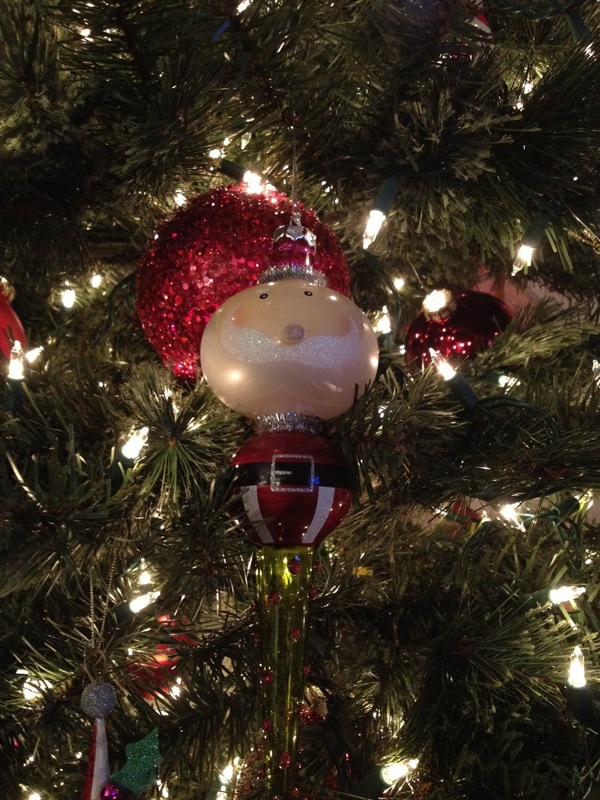 If you are investing in an artificial tree, be sure you get one that you are going to enjoy for years to come. 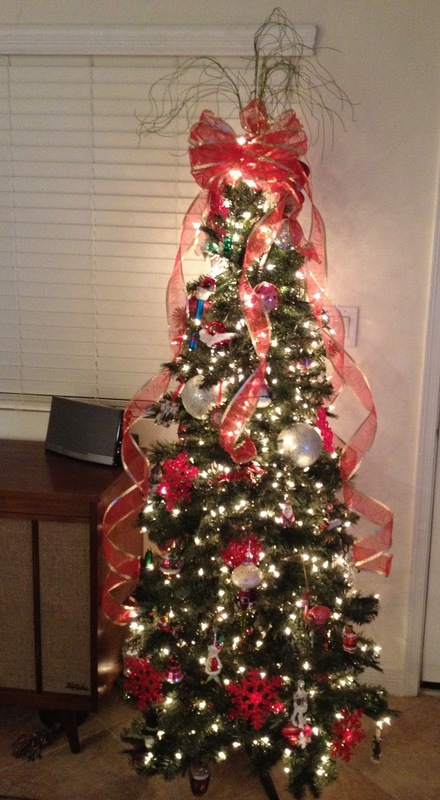 Artificial trees are great as they can hold your heavier ornaments and be displayed a lot longer than a real tree. If you like the smell of a Christmas tree, try purchasing greenery at a nursery. You can decorate your mantels or other areas with the greenery and adding ornaments as well as having that great Christmas tree smell. 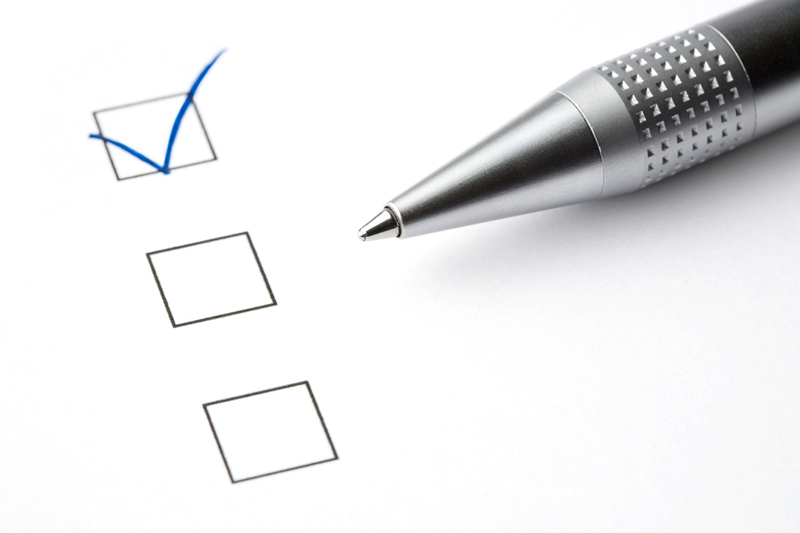 For outdoor lighting, be sure you have them neat and bundled. You do not wish to be spending your next year of decorating trying to eliminate the big “KNOT” in your string of lights like Clark Griswold had in “Christmas Vacation”. There are plastic boards you can wrap your lights around, a reel style that you can wind your lights on and easily spin off when needed, OR….a cheaper way is to get heavy duty cardboard, cut in a large rectangle shape and wrap a string of lights around. Only string one per cardboard, that way you can determine how many you will be using each year etc. Bottom line you want to make decorating for the holidays easy. There is nothing worse than dreading the thought of decorating. If you do not have your items easily accessible…try to find a spot in the garage or in a shed where you can get to your boxes easily. 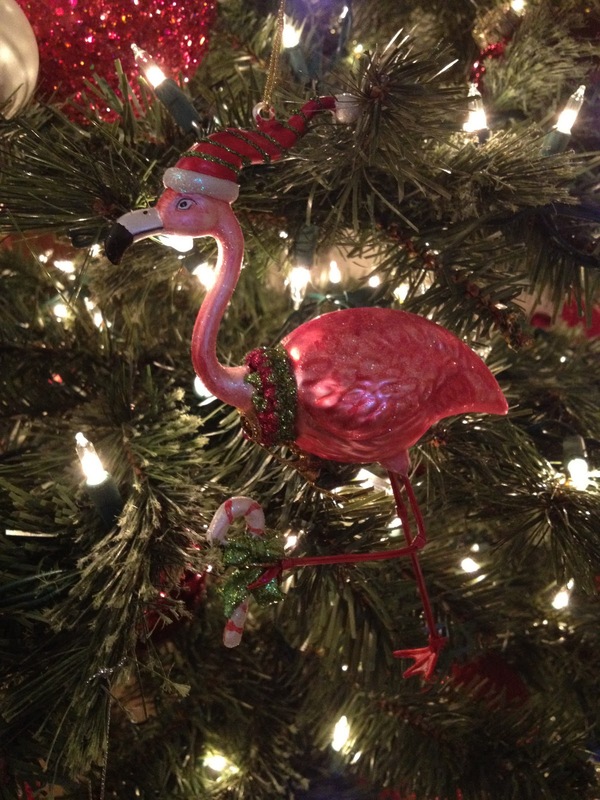 For me….decorating for the holidays is such a joy. I LOVE the Christmas season. And if you take the time to organize your decorations, clear out what you do not want or use and have it easily accessible, you’ll be more apt to put them up each year!